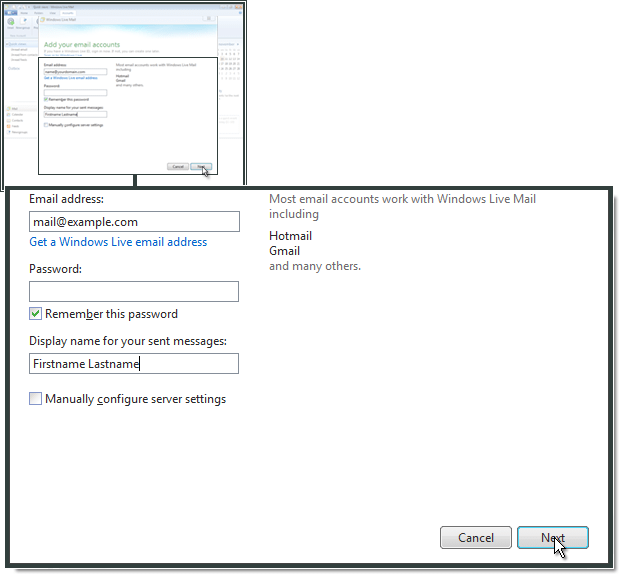 Select IMAP as Server type. 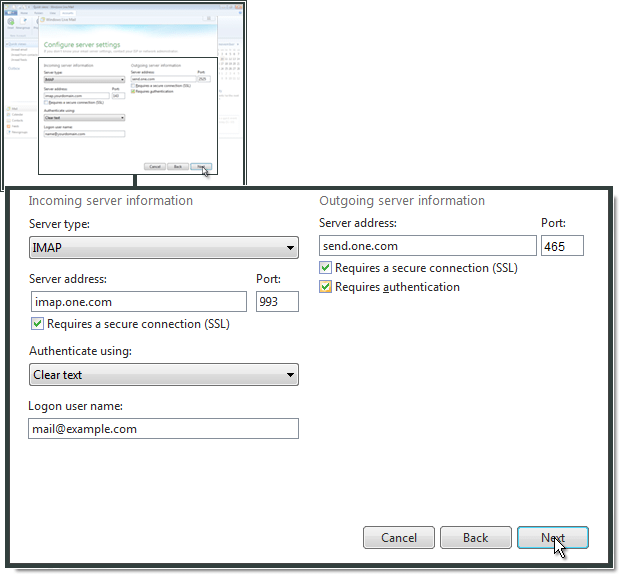 Enter imap.one.com as Server address and port 993 and check Requires a secure connection (SSL). 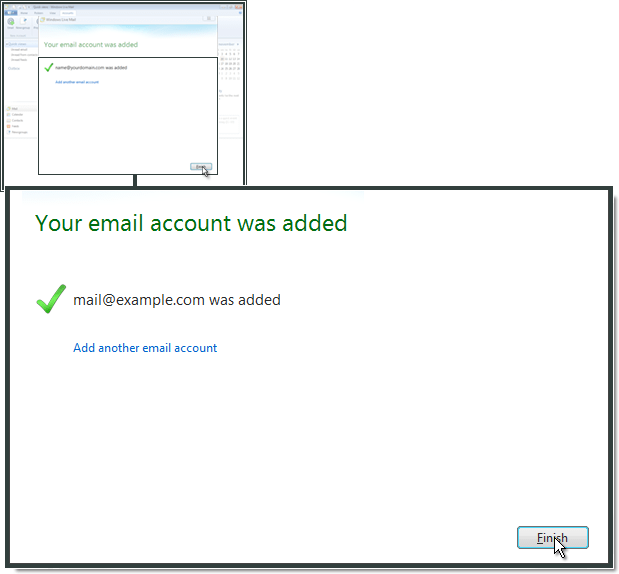 As Logon user name enter your full mail address. 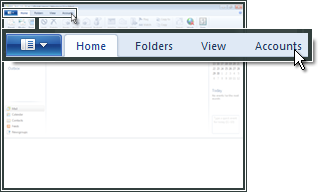 Your outgoing Server Address is send.one.com. Make sure that the outgoing port is set to 465 and check the box that the outgoing server Requires Authentication and Requires a secure connection (SSL). The configuration is done and your account has been added. 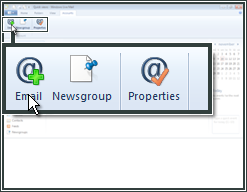 Click Next and the mail program will syncronise your mail account for the first time. Click Finish to complete the setup.